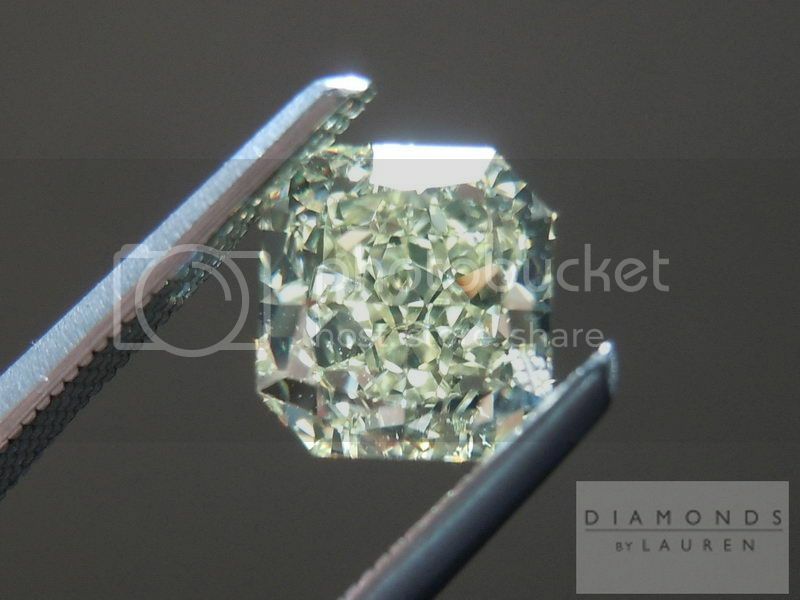 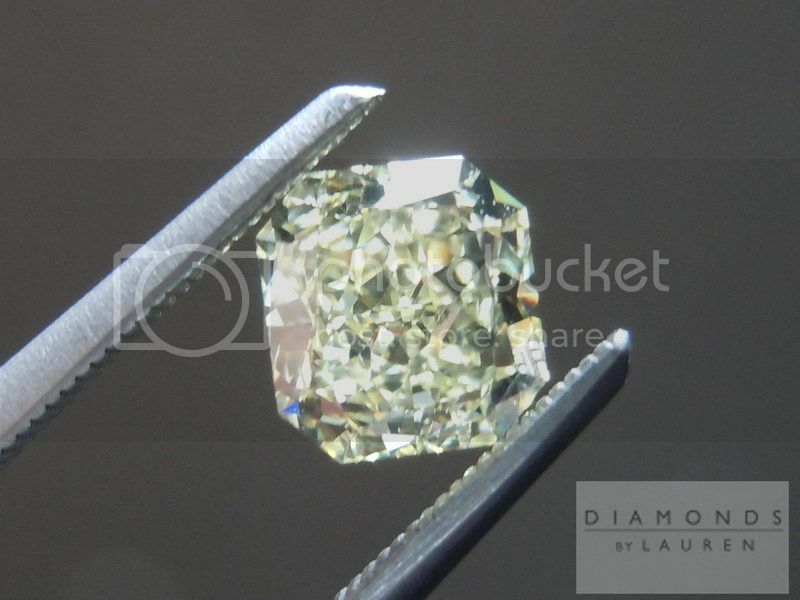 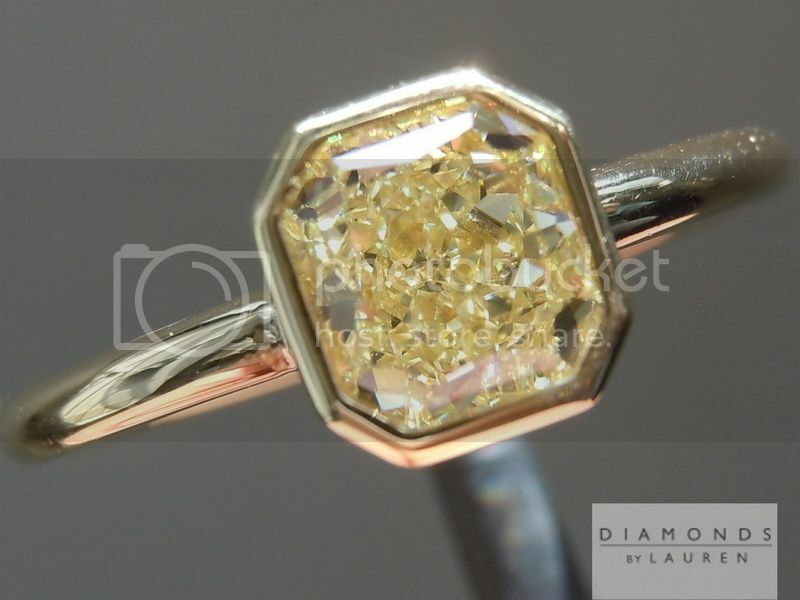 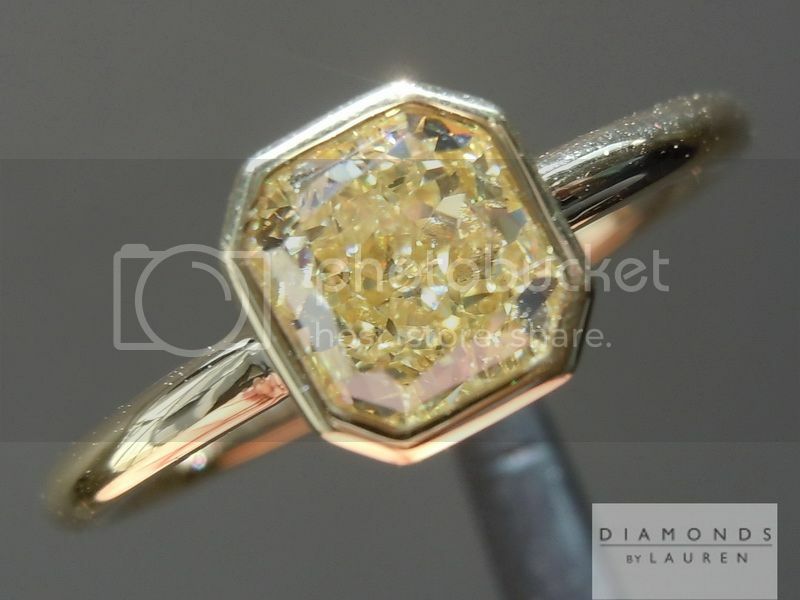 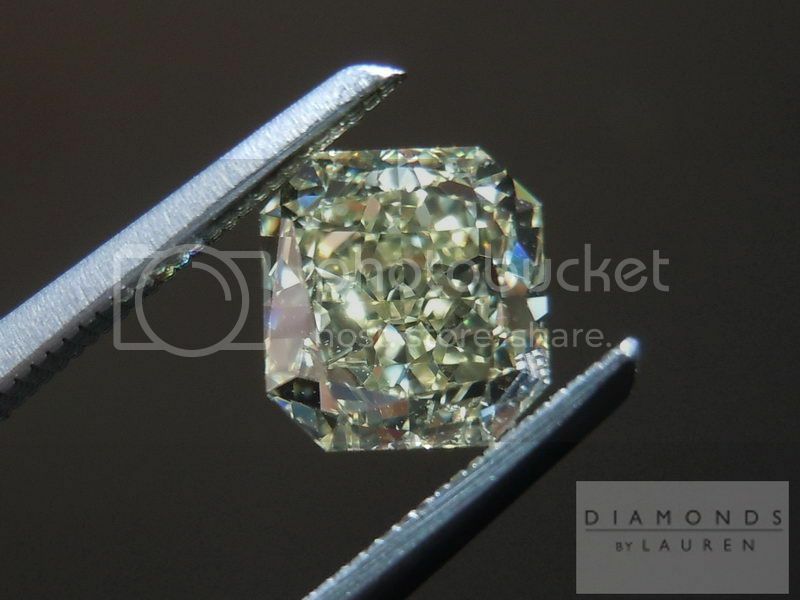 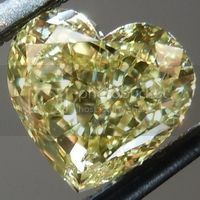 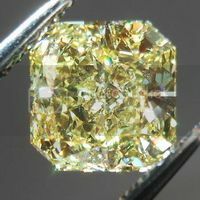 Here is a lovely radiant cut diamond in a desirable size. 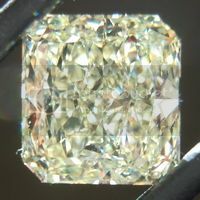 The diamond has a broad rectangular shape with bold cut corners. 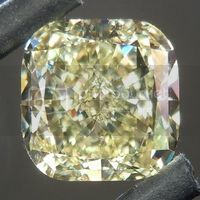 I love the cut on this diamond. 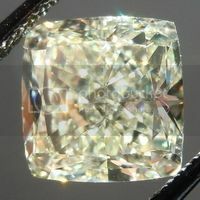 There is a nice mix of crushed ice and some larger flashes of light as well. 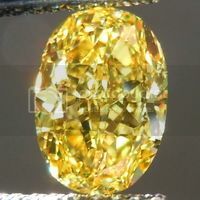 The color is a beautiful shade of yellow, and set properly this stone will look amazing. 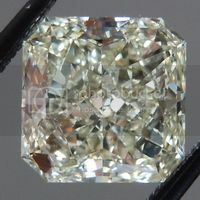 The clarity on this stone is a very clean VVS2. 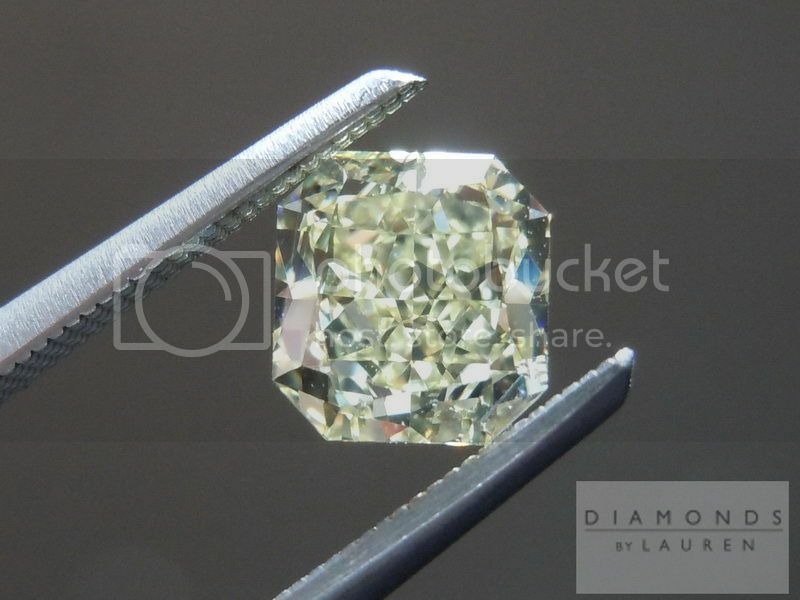 This diamond has come alive in this setting. 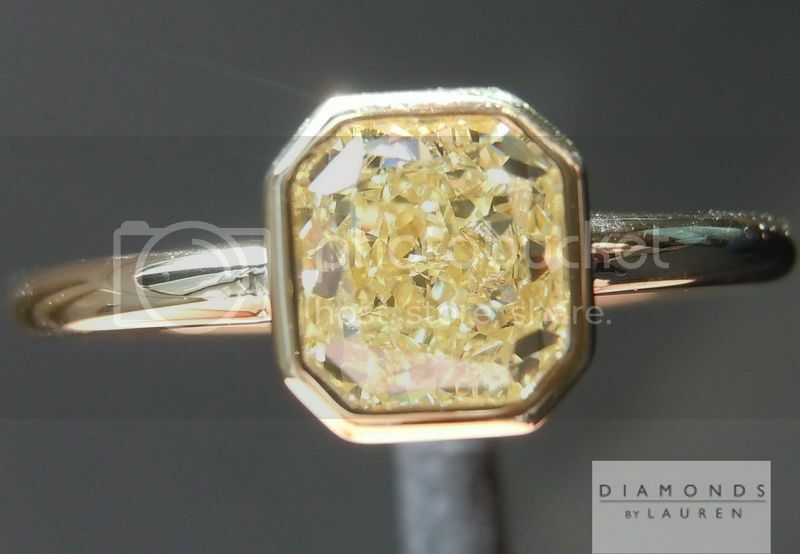 Our bezel is super clean and the finish is impeccable.